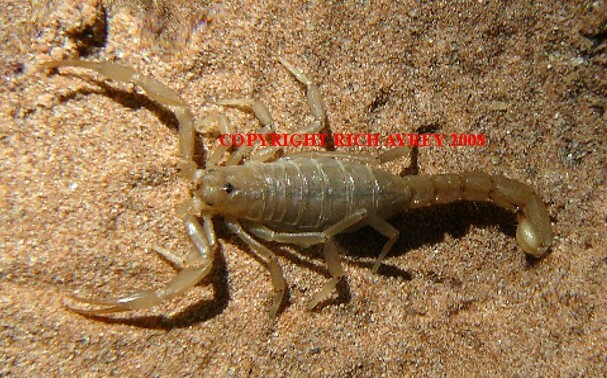 Hoffmannius confusus is a small species of scorpion found in the southwestern United States. This specimen was found next to the home of a friend in Queen Creek, Arizona. It was hiding under a board next to the house. I am grateful to my friend Nancy for providing such wonderful scorpion habitat around her home. I find this species particularly attractive and easy to keep. This Adult Hoffmannius confusus pic was taken in the Northwestern part of Arizona. Vaejovis confusus is also found in Nevada and Utah. Hoffmannius confusus was formerly known as Vaejovis confusus. Photographs by Rich Ayrey, do not reproduce any photo without the written permission of the photographer. 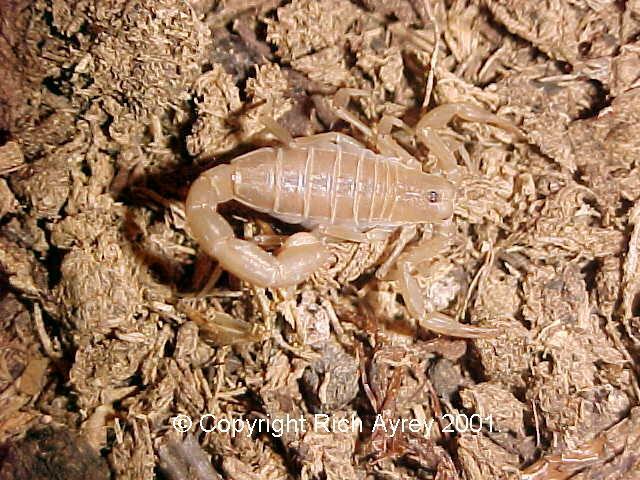 This Arizona Scorpion site copyright Rich Ayrey 2008-2017.